The talent of someone in business does not suddenly appear when you were born. Able to run a business in touch with someone in the habit of life, such as his responsibility to parents or siblings, or region where they live, and their relationships with friends. In addition to your behavior on the environment outside, become successful when running a business depends on yourself. Business success at a young age have been So lifestyle, what are the Tricks? Many have assumed that young people still lack experience and too risky. Whereas, when young is a very good time to start a business. The first reason is still to have enough energy to work hard. And second, there is still much time left if they encountered a failure. The key word here is bold. However, be careful, because risk-taking is not the same meaning as sloppy. Bold means not wasting the opportunity that lies ahead for the sake of seeking safe haven. A careless person daring to risk anything. While those who dare have a mature calculation before taking the step. Indeed in doing business, there is always a risk and the price to be paid. However, there is no advantage that comes without risk. By becoming a brave person, you could be someone the businessmen can take advantage in tough situations. You have to remember not to take the risk of exceeding your ability. A person of superior businessman should be able to guess the trends and tendencies of the market will happen in the time ahead. In other words, a businessman must have analysis capabilities in order to be successful. This is where a person who has the talent to do business. They can analyze the market and predict the development of the market. With that, it is certain they will not miss. However, keep in mind that this capability should be honed by many absorb information either through the news, discussions, books, or personal experience. Willing to accept censure means you willingly admit mistakes and is ready to account for it, either to the superior or subordinate to you. A good boss should willingly accept criticism of his subordinates, as well as entrepreneurs. Business will stagnate if you are not willing to accept the criticism, especially from customers. Progress can only be obtained by absorbing the criticism, change it, and adaptation developments that occur outside of yourself. When there is a problem, whether it be climate-related business or others, a person must be adaptable. Note If you can adapt to existing circumstances and turn it into a profit? 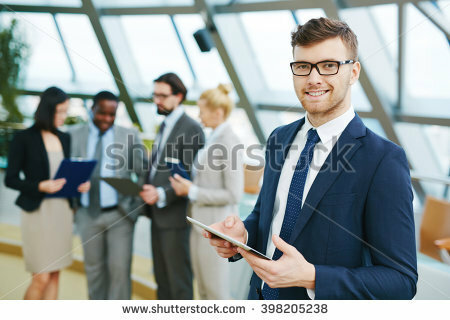 A businessman who will succeed should be able to do the adaptation on a lot of things in the business, starting from the production process, which must be adapted to the sophistication of technology, human resources, marketing process until the sale in accordance with the needs of the customer. A Young businessman who will be successful is business people who aren't afraid to work hard. They efficiently utilize the time they have to increase productivity for their business. They were not afraid of hardship because they are always the focus with the advantages obtained from the results of the hard work. They can balance their life and time so that they can maximize their time for making money while you enjoy the results of their hard work. The five traits above is not owned by a person from birth. The character of a young businessman this success you can have with a high discipline and effort. Surely it is not easy to embed the personality in one night. But with determination and focus on your financial goals, you can have it.